SNAFU! 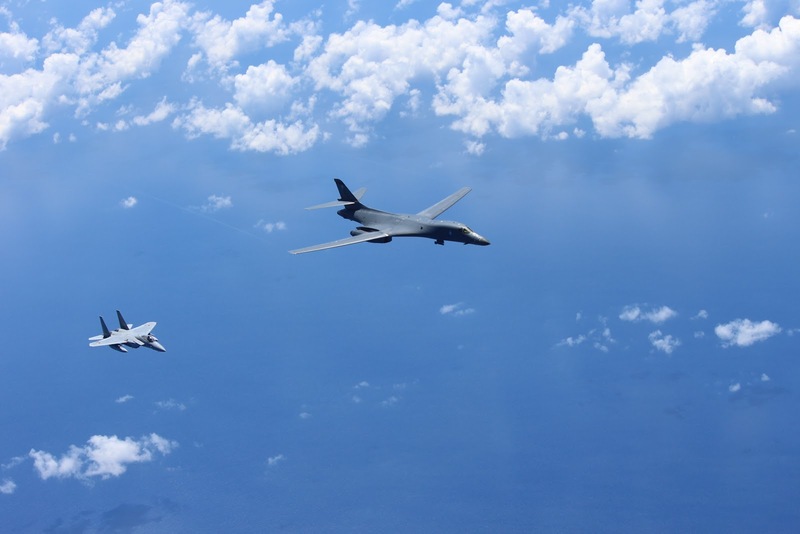 : B-1Bs train with JASDF F-15s near Senkaku Islands via Alert 5. B-1Bs train with JASDF F-15s near Senkaku Islands via Alert 5. B-1B Lancer assigned to the 37th Expeditionary Bomb Squadron, deployed from Ellsworth Air Force Base (AFB), S.D. to Andersen AFB, Guam, conducts a bilateral mission with a Japan Air Self-Defense Force F-15 in the vicinity of the Senkaku Islands, Aug. 15, 2017. These training flights with Japan demonstrate the solidarity and resolve we share with our allies to preserve peace and security in the Indo-Asia-Pacific. Now why would we conduct joint operations with the Japanese around these disputed islands when we are looking to the Chinese for assistance with the N. Korean issue. It's almost like that UN resolution was just window dressing and the operation you see depicted above is a prelude to the second act....after N. Korea is dealt with. But that's just crazy talk. I mean we saw unexplained color revolutions/Arab Springs in the Middle East, whoever was behind that wouldn't have new plans for the Pacific would they? Naw, the Arab Spring was spontaneous and no one is working on trying to "shape" the Pacific!